[/vc_column_text][vc_separator type=”transparent” position=”center” up=”12″ down=”0″][vc_column_text]Swep Industries is formed by a group of companies that are spread all over the globe, but linked by a common interest. The journey towards sustainable energy is our primary focus. All of our partners and shareholders follow the same direction and have the same purpose – to reduce the use of fossil energy. The abusive use of fossil energy is the main contributing factor to global warming. 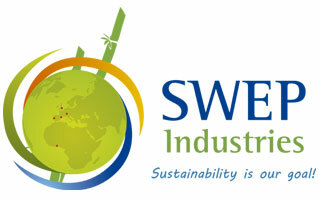 At Swep Industries, we advocate for clean energy and for its responsible consumption. [/vc_column_text][vc_separator type=”transparent” position=”center” up=”12″ down=”0″][vc_column_text]We offer a vast array of sustainable energy products such as bamboo pellets and chips and other types of biomass. Clean, sustainable energy products are already in great demand and every prognosis points towards a steady increase in demand worldwide. [/vc_column_text][vc_separator type=”transparent” position=”center” up=”12″ down=”0″][vc_column_text]Our team is highly professional and qualified, with wide experience across the clean energy sector. They contribute on making Swep Industries a solid company, committed to environmental preservation. Our core business is the production of bamboo chips and pellets (for domestic and industrial use).